Lenovo yesterday announced a new Android phone to the Indian market. The Phone is available for a price of INR 15,999. 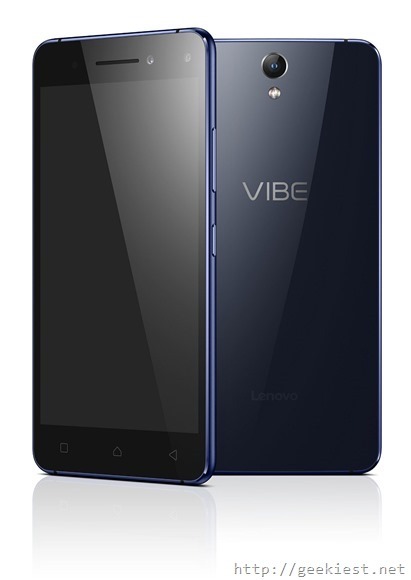 Vibe S1 comes with 1.7GHz MT6752 octa core processor,Mali-T760MP2 GPU, 3GB RAM, 32GB internal memory expandable up to 128GB and dual SIM. The second SIM slot can be used as the Micro SD card slot. The 5 inch IPS HD display comes with a resolution of 1920x1080. The company claims the 2420mAH battery can give you 26 hours of talk time and 264 hours of standby time. The phone comes with gorilla glass protection on the front and back side. The side is covered with metal. The main attraction of this device is two front facing cameras one with 8 Megapixel sensor and other with 2 Megapixel. It allows you to take brilliant selfies even at low light situations. The Primary camera is a 13 megapixel one with dual color flash. You can also get Rs.1000 cashback on Standard Chartered credit card, debit card and EMI transactions says Amazon India. Android Marshmallow Phone with 5 inch Screen, 1GB RAM, and 5MP Camera for INR 2799.